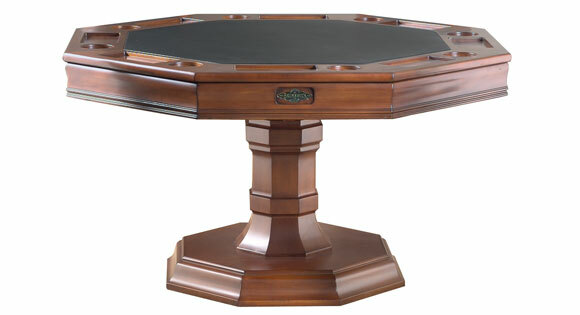 The charm and competitiveness of friendly card games of the past have been revived with Brunswick’s Centennial game tables. 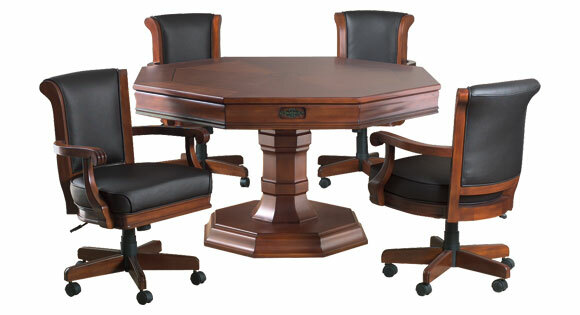 The 54″ solid wood table features a man-made leather playing surface that resists spills, generous chip holders, and deep beverage holders with Brunswick coasters. 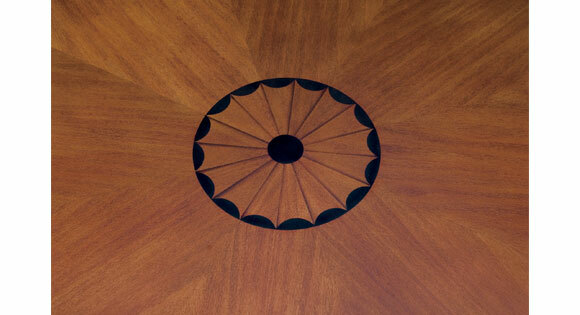 Flipping the playing surface over reveals a dining top with beautiful inlays. 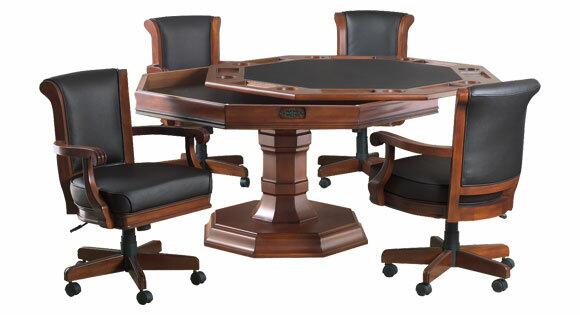 A storage area underneath the table conveniently holds gaming accessories. 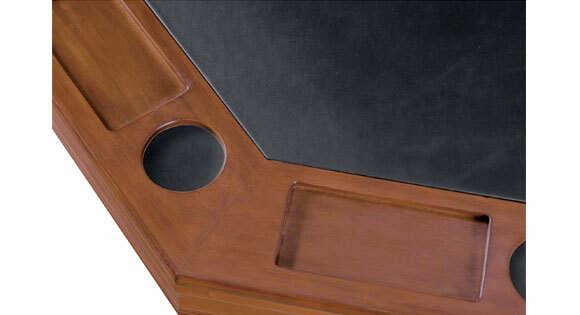 Available in espresso, traditional cherry and chestnut finishes. Matching chairs are also available.